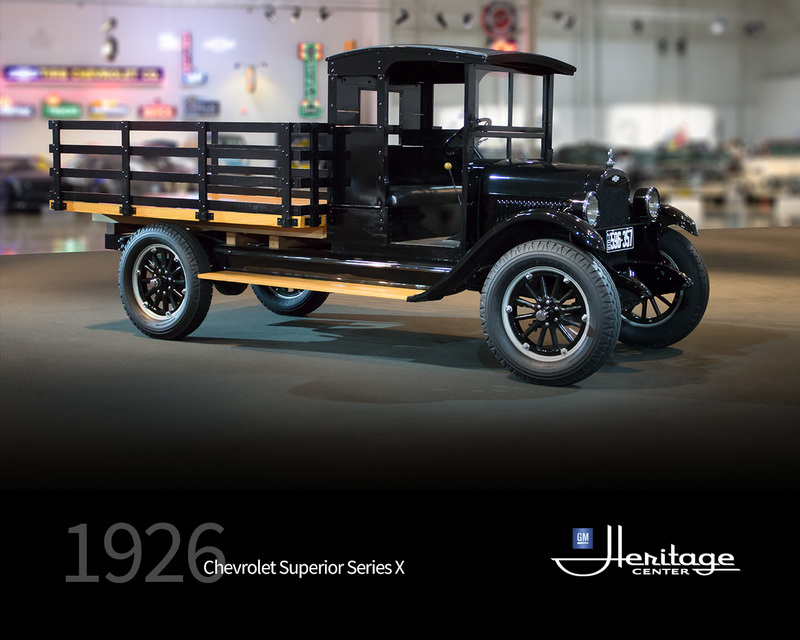 The 1926 Chevrolet Series X one-ton trucks had carryover engines, a disc clutch with floor mounted gearshift, semi-floating rear axle, external contracting rear brakes, wooden spoke wheels and a 120 inch wheelbase. The engines were overhead-valve 4-cylinder with cast-iron block, mechanical valve lifters, force feed and splash oiling, water pump and fan cooling and a six volt electrical system. 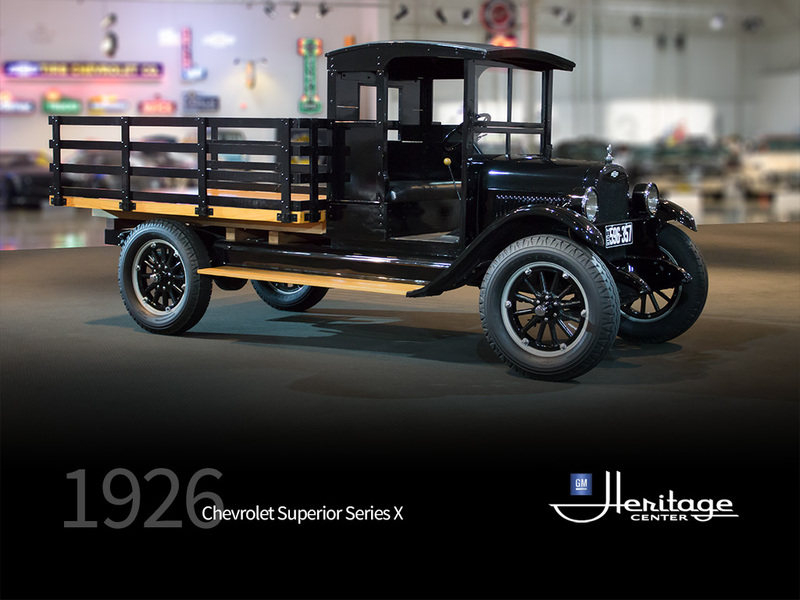 The hood, fenders, lights and running gear of 1926 passenger cars were used for these trucks. This truck has a stake body mounted on a Series X chassis.